How would you like to build a debt free, inexpensive, beautiful home that you and your children could enjoy for..well forever? Let me introduce to you a building material that has been used for thousands of years, it's called Cob. You may have seen cob cottages before illustrated in children's fairy tale books. They cover the Irish landscape and have dotted the European countryside for millennium. With all of the economic turmoil we are dealing with I wanted to bring to your attention a type of inexpensive housing that could really make a difference in a lot of people's lives. Just think what an improvement it would be if people could build their own homes for an average price of $10,000 to $15,000 dollars! And I'm not talking about some cardboard shack. It could revolutionize our economy! Just think of the economic prosperity if people were free of the financial burden of a mortgage! It is my belief that Cob Cottages are the best kept secret out there. These cottages have been around for hundreds of years (some say thousands) and yet they are easy to build, last forever, and are virtually fireproof. Nevertheless, not very many people know about them and in some places you might even have trouble getting a building permit to build one (the establishment doesn't want anything that can be built by women and children that lasts forever). So my mission is to spread the word about the best kept secret in green building and that is the Whimsical Cob Cottage. 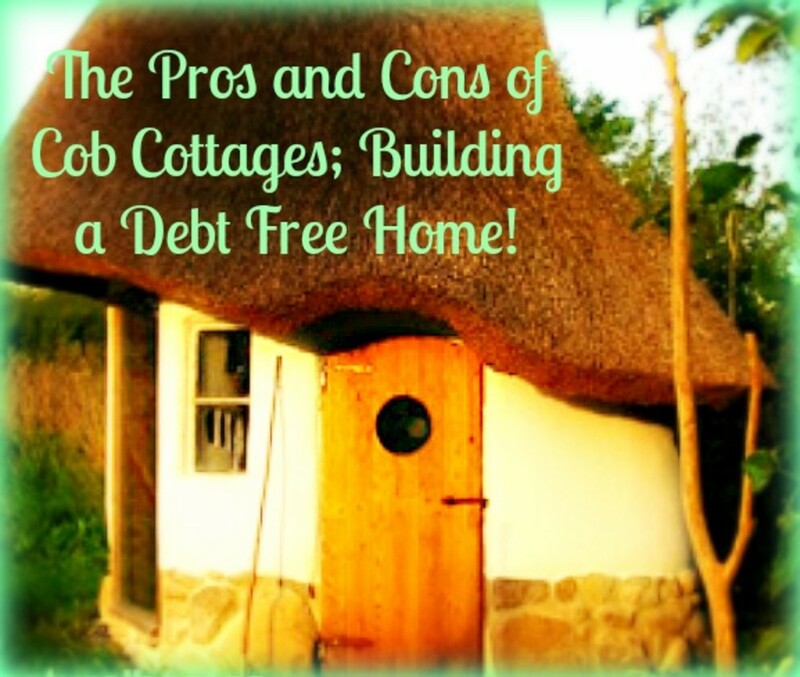 So what are the benefits of Cob Cottages? They are cheap cheap cheap. 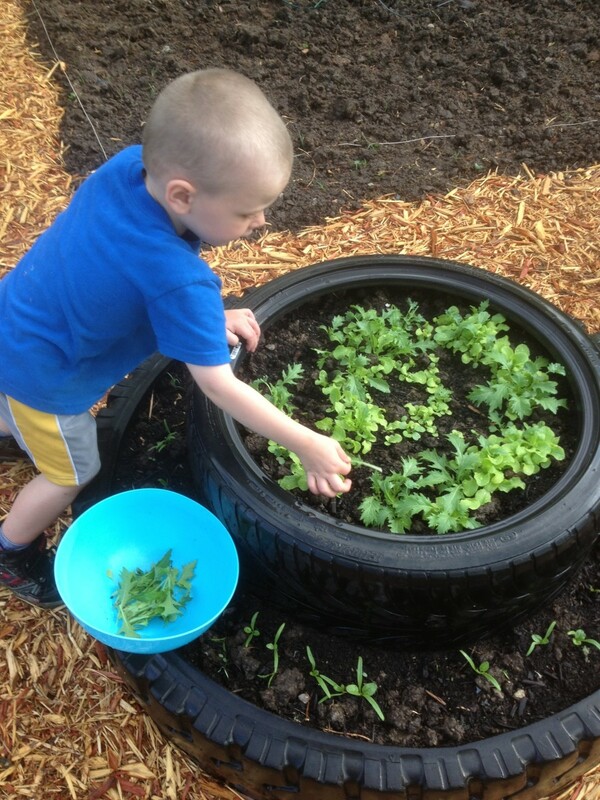 How cheap is mud, rocks, sand and straw? That's how cheap your house can be. Ok, ok you might have to hunt and gather some window pains and door knobs but the main construction of the house is mud, rocks, sand and straw. You can't get any cheaper than that and most of those ingredients can be found on the land that you are building the house on! Cob doesn't burn. Cob doesn't burn because the primary ingredients are mud, rocks and sand with some straw thrown in that is completely coated in mud rocks and sand. Have you ever seen mud, rocks or sand burning? Yeah, that's why cob houses don't burn. Insects wont eat cob. For the same reason that cob cottages don't burn, they aren't eaten by insects either. See # 3 above. They are warm in winter and cool in summer. They are warm in winter because the mud, rocks and sand hold the heat long after the source is gone. For the same reason they tend to stay cool in summer because they have excellent thermal mass. In fact cob has the highest thermal mass of any building material ever. You don't have to have an engineering degree to build one. They are easy to build, sort of like making giant mud pies. Ok, maybe a little more effort than that. But they are so easy to build that children can help and people who are not familiar with housing construction can build one. Any who can stomp mud can help build a cob house including seniors! They are green, they have no toxins and are completely natural. As far as I know, mud, rocks, straw and sand are the greenest things you can get, you can't get any greener. There are no chemicals, no led paint, no mold, no nothing. Cob is as natural as natural gets! They last for a very long time (some Cob houses are over 900 years old). People have been building with cob for hundreds of years (some say thousands). These houses are still standing. I wonder how long some of our suburban homes will last? Some modern houses fall apart after 30 years, cob homes will last for several generations and are easy to repair when they do need repairing. You don't need any special equipment to build one. Nope you don't need any fancy equipment, think about it...people built cob cottages way back when there was no fancy equipment and those houses are still standing, that alone should convince you. You don't need a table saw or hammers or nails and except for the roof you could probably build the whole thing yourself. They are quiet on the inside because of the thick walls. You can make the walls as thick as you want and most people do make them about 2 feet thick, because of that they are quite insulating and very quiet. They can take awhile to build because each layer has to dry. It might take you awhile to build your cob house especially if there are not very many of you. Since you are building it yourself and since each layer has to dry it can take an entire season to build..but considering all the pros I think that this one con is not too much of a stumbling block, you just have to plan well. Moreover, if you use straw-bales for your walls instead of just cob it will help you build faster. Some places you might have trouble with permits because municipalities aren't familiar with them. I have heard that some municipalities have given people trouble with permits because of cob. This is due mostly to ignorance as there aren't very many cob cottages in America (yet). I think as more and more people become educated about cob this will change but it is something you will have to check into before building. And that's it, that's all of the cons. 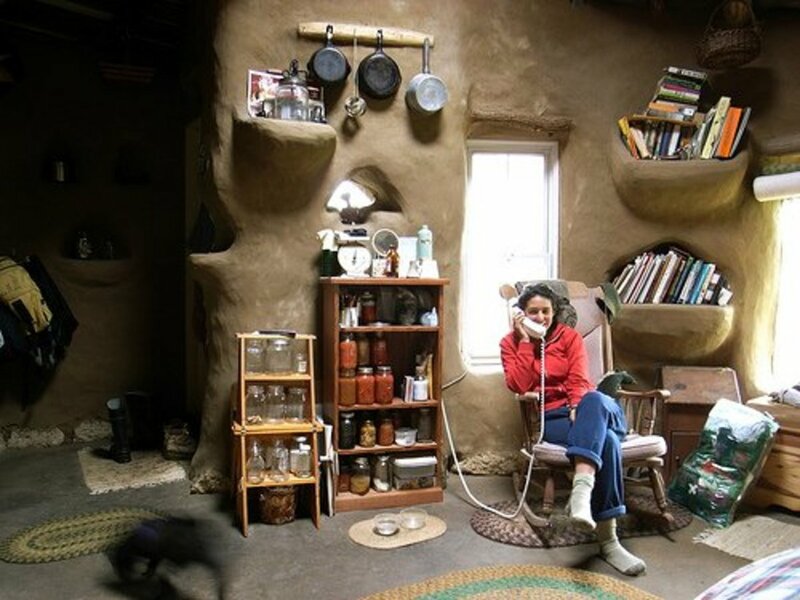 Cob homes are so beautiful and they have such a huge potential for enabling people to build their home without debt that I think the benefits out way the negatives by a huge margin. If you don't already have a home I hope you will consider building a cob cottage. I am. How much money does it cost to go Off-Grid and to live on the Land? Have you ever heard of Cob Cottages before? Can someone build a cobb fairytale cottage for us?? How much land is required?? Comment re longevity are a little bit overblown and rose tinted. Most cob houses date from the 17thC on with the majority being much later. Do your homework. There are only the odd few that are earlier and they are the exception rather than the rule. I think it depends on how bad the earthquake. I don't know if someone refers to one more pro: cob houses are earthquake proof! I'm glad you liked it. I hope you end up building a cob home. Fantastic hub! My husband and I are just beginning to explore the possibility of constructing a cob house, and reading this provided me with some great basic info. Thanks so much! Thanks "givans1980", keep in touch. You must get the Hand-Sculpted Home offered above. It won't take years..not at all. And everyone can help build the home, even the kids! You have to do this, you will love it! Make sure to research everything I have on this article...all the links and books, it will help you. Building my own cob home is a dream of mine too. Yes, Nick they are beautiful, so full of beauty unlike the boxes they build today! 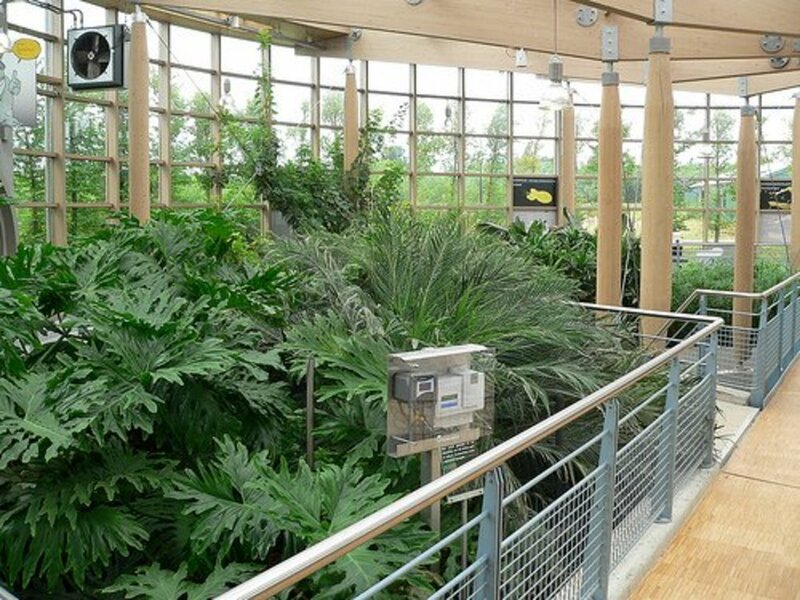 These are beautiful homes, and really keep up in touch with the planet. I would consider building one of these! I have read a little about cob cottages. At one time I almost considered building one. I loved the idea of a home that I could build and maintain myself and that would cost little and be ecologically sound. I enjoyed this hub. Excellent,informative writing, Ms. Brie. Thank you for adding so much to my meager knowledge of cob! Sure, thanks for the info, this is awesome. I'm going to add it as a link, what a find! Thanks Again. Clay", by Clough Williams-Ellis. The html version is illustrated, but there is also an unillustrated Kindle version. Another great hub, it just goes to show that you can build houses from just about anything. Real cool! Thanks for sharing. Voted up and Awesome! Also, there is a farm called Polyface Farms, he bought his farm when it was a mess. He thinks that anyone can restore the land through his techniques. I may write an article about him and his techniques because I think that they are very cool...look him up. To Blargablarga: Look for "Permaculture"... you'll be able to restore the land. This is awesome. The pictures are beautiful. Thanks for sharing. Glad you like it, post it on your facebook if you want. Absolut-Pacifist, I LOVE your comments and POV. Exactly! Stop funding and let the system collide on its own crazy weight. Word! 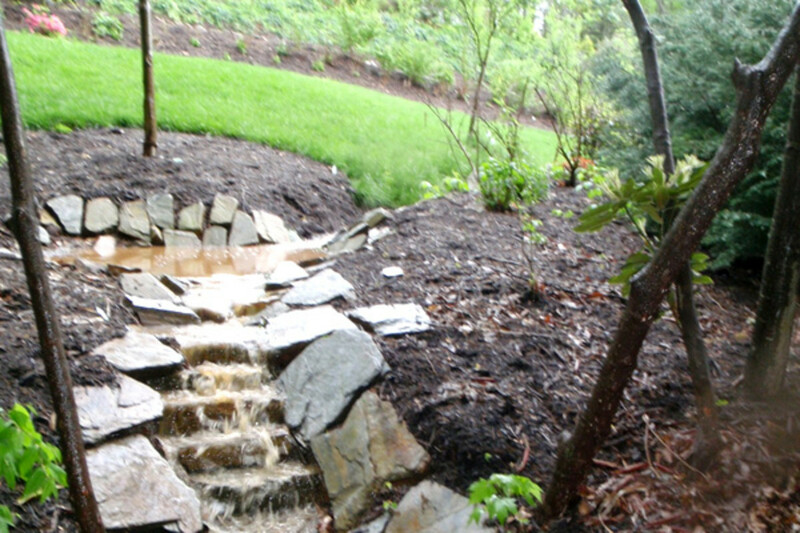 Believe it or not our own human waste can restore the soil. The book "The Hand Sculptured Home" tells you how to test the soil and what to do to correct any deficiencies..it's listed up top in Amazon. I would highly recommend it. Good hub with nice pics. Thanks. The very first book that I offer up top "The Hand Sculptured House" tell you how to test the soil and what to add if it needs something. It's not hard. Thanks again. fascinating - Thanks for the info - I've heard of them but never followed up to read about them. I would imagine some types of soil used in the mud would not work --- you know anything about that? I think that if you have a good roof and a good foundation you should be fine. They have these houses all over Ireland and England where it is very moist and they have been standing for 600 to 1000 years. Hi Brie..do you have any information on upkeep? Like mold? Is there a website that may give out that kind of info? I lived in the NorthWest for most of my life, and I notice that there some cob houses there. It rains ALOT there so it must be able to withstand that kind of weather. Do you know anything about snow issues? You know, I really should just get outside and start building my own house.. . .I get tired of staring at the computer screen, gotta do something. David: put your url link in your comment. I usually don't allow urls in comments but for this I will make an exception. 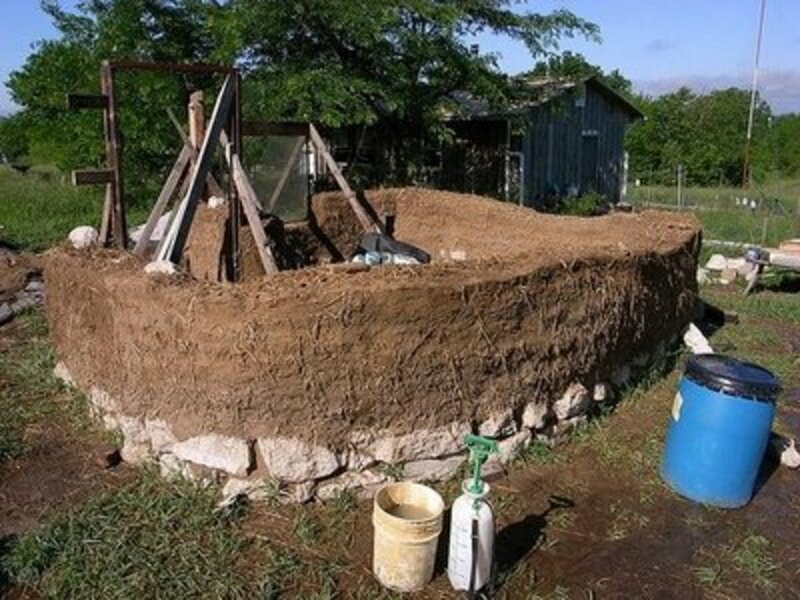 I build cob as well as straw bale in Texas, just northwest of Houston, we are currently offering 2 workshops starting in March, the first is a split 20 day workshop, 10 day cob and 10 day straw bale, crammed together and the second is a 10 day cobwood (cordwood, cob) free standing bathroom in April! this is just the beginning of the year and there will be many many more!! Yes, the 3 that I have on the top under the picture are the best that I've found so far. Brie, this is the second article you've written about cob cottages that I've read. You've peaked my interest so I'm wondering if you've a particular book in mind that you found helpful about construction of same? Thanx. AND, they are a million times cheaper. I love them! The cob cottages that I have seen have so much character. 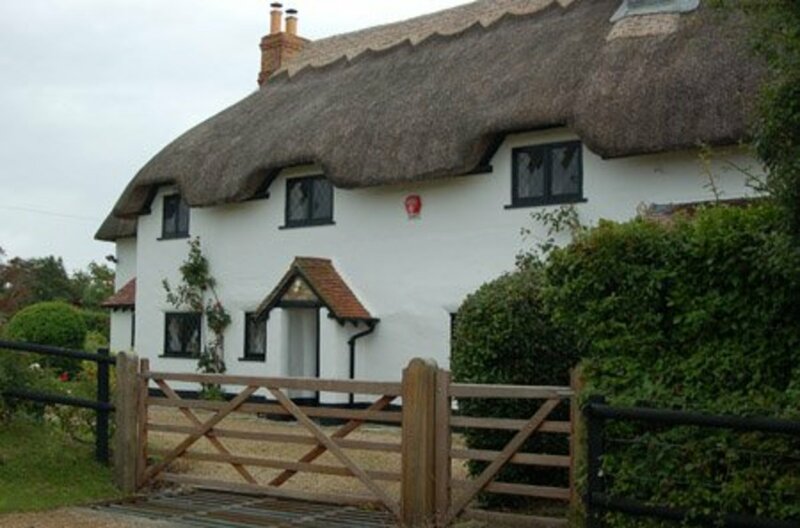 I like cob cottages for the way they look and for all the other advantages that you've listed. It seems like builders can be really creative when they build a cob cottage, too. Sure, they can be made into barns, warehouses, anything really. These cob cottages are ideal for a fishing or hunting trip. I love thr ruggedness. I agree Absolute-Pacifist but I still thought I should mention it. One of the big problems with society is that false belief that everybody needs a permit before they can do anything under the sun. Just go and find yourself a space that is unused and claim your own acre of land and just build something. Why would you want to pay permits into an insitution that is known to waste a huge percentage of the monies that are collected ? Stop funding the institutions, let the systems collapse already, and establish a proper society instead. One that is free of excessive controls and regulations. Simple advice is good enough, and if one wants to be a control-freak, demons from the under-world will drag them down into a dark dungeon, just you wait and see as their insanity explodes. There are ...lots..just google volunteer for building cob and you will see. Brie, I love this article...and I love cob houses...I would love to build one...if you ever find an organization that wants volunteers to build one, let me know...it would be worth the volunteering just to see one being built.